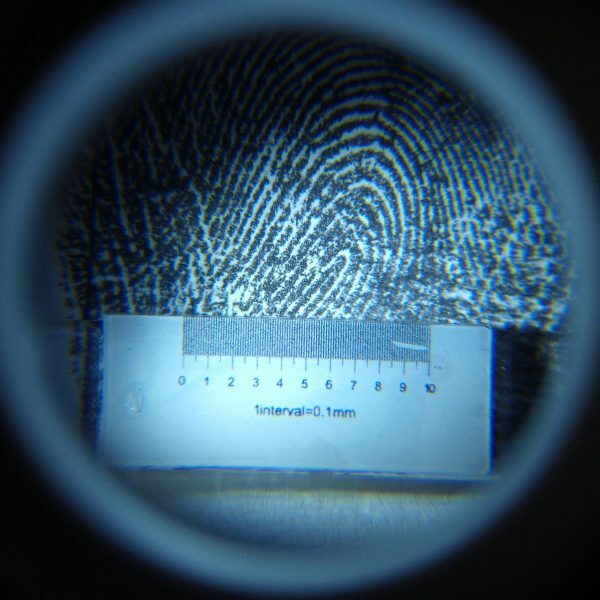 A pocket size microscope 60 – 100x adjustable magnification with manual focus. Illuminated by powerful, battery operated LED. 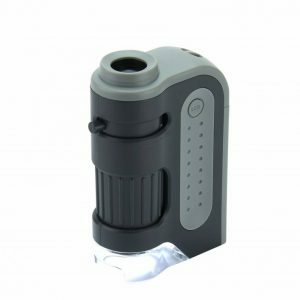 When we tried these we were amazed at the clarity of the optics for such a small piece of equipment – just 8cm tall with compact controls/eye piece. Comes with carry pouch. 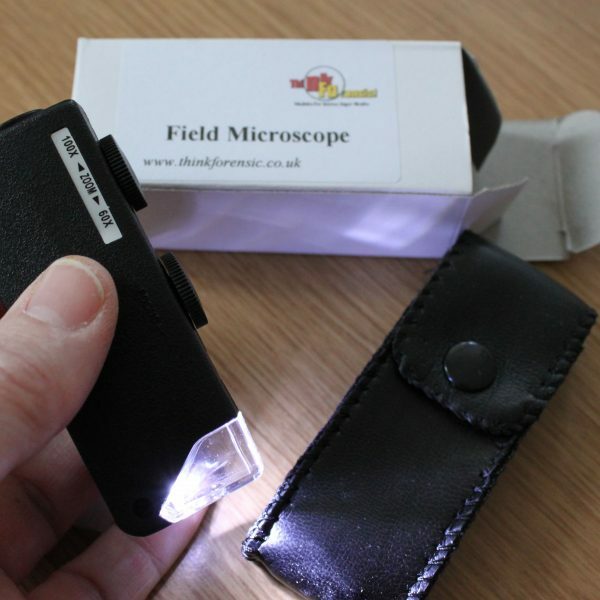 Ideal for use in the field or if you don't have access to microscopes.